On 22 September, the mobile phone information platform, MasAgro Movil, launched the first phase of a two-phase communications campaign in the state of Guanajuato, Mexico. Radio spots began airing at 5 a.m. on three of the state’s most popular radio stations to reach early-bird farmers and promote the service in general, as well as special, local events presenting the MasAgro Movil team and MasAgro technologies. MasAgro — the Sustainable Modernization of Traditional Agriculture program— is a long term rural development project that builds capacities for crop and farming improvement to sustainably increase the productivity of Mexico’s resource-constrained maize and wheat farmers. 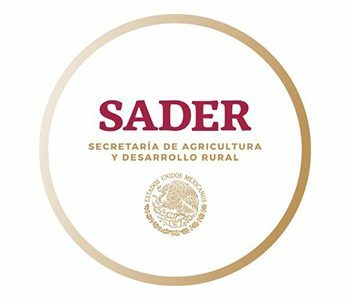 Phase one was a success: in only two weeks, MasAgro Movil, which is operated by CIMMYT and the Mexican Secretariat of Agriculture, Livestock, Rural Development, Fisheries and Food (SAGARPA), gained 40percent more registered users. At a launch event in downtown Celaya, a populous city in a key agricultural zone of Guanajuato, students from local universities’ agriculture faculties rushed to the central plaza to learn more about sustainable agricultural practices and get first-hand information on their mobile phones. In the city of Salvatierra, family members and farmers approached MasAgro Movil stands to learn how mobile services could benefit them. The service sends three text messages weekly to users, communicating weather forecasts for the week, invitations to events, news, and technical advice. Farmers worry perennially about rising input costs and falling crop prices. MasAgro Movil will offer price alerts, give financial advice, promote regional financial services and connect farmers with new markets. In its report “The Next Global Breadbasket: How Latin America Can Feed the World,” the Inter-American Development Bank and the Global Harvest Initiative (a private sector voice for agricultural productivity growth throughout the value chain to sustainably meet the demands of a growing world) recognized MasAgro Movil as an ideal tool to integrate farmers into the agricultural value chain. This major, collaborative policy report provides a rationale for why Latin America has a critical role to play in helping to feed the world. It provides a detailed menu of recommendations and specific examples of partnerships that illustrate how countries in Latin America, the Caribbean, and Central America (LAC) can harness their potential to more productively and sustainably be a regional and global breadbasket for food, fiber, feed and fuel demand.